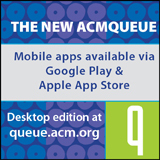 Welcome to the August 14, 2017 edition of ACM TechNews, providing timely information for IT professionals three times a week. Researchers at the University of Nottingham and York University in the U.K. have discovered a phenomenon enabling them to manipulate the structure of a magnetic domain wall, which they say could lead to a new class of highly efficient non-volatile information processing and data storage technology. The major benefit of using magnetism is the magnetic state remains stable when power is removed from a device, facilitating non-volatile storage of information. A magnetic domain wall forms in a magnetic wire and separates regions where magnetism points in opposite directions, which under certain conditions consists of a region where the magnetization rotates around a central vortex core. The researchers discovered a way to control the chirality of the vortex domain wall using an electric field. They next plan to study how the chirality switching is related to the geometry and dimensions of the magnetic wire. Researchers at the Santa Fe Institute have developed a new network analysis algorithm that identifies relationships within individual layers, as well as across multiple layers. The researchers say the new model is broadly applicable to a variety of network types. The team tested the model on two datasets, one of which included data from social networks in two villages in rural India, while the other was made up of genetic data on the malaria parasite. In the first instance, the model successfully predicted missing connections in the social networks. However, in the second case, the model's predictive power worsened with more layers, likely because parasites with more genetic diversity can better evade a host's immune system. The researchers say they have built the model to be broadly applicable to researchers in a range of fields, and they have released the code, in a user-friendly format, to anyone who wants it. Researchers at Birmingham City University in the U.K. are developing a system that can analyze trends in the playing styles of musicians, which could be used to show how musicians from any era would have played a piece of music from any other era. 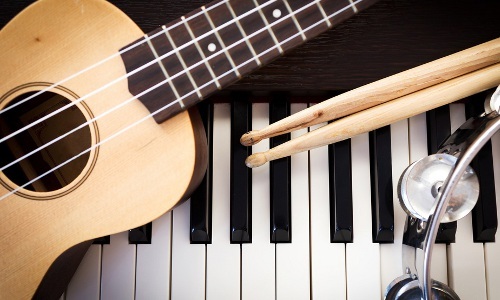 The Birmingham City researchers, led by Islah Ali-MacLachlan, developed an algorithm capable of replicating subtle differences in the way musicians play their instruments. The team analyzed hundreds of pieces of music produced over five decades, and entered each individual sound and movement into a database to replicate more than 15,000 individual notes and sounds. The researchers say the system can replicate notes with 86-percent accuracy, and imitate nearly 75 percent of all individual note deviations. "With this kind of technology, music producers of the future will be able to draw on the style and expertise of some of the world's greatest musicians," Ali-MacLachlan says. Researchers at Google's DeepMind unit have developed an artificial intelligence (AI) system that teaches itself to recognize a range of visual and audio concepts by watching short video clips. For example, the new system can understand the concept of lawn mowing even when it has not learned the words to describe what it is hearing or seeing. "We want to build machines that continuously learn about their environment in an autonomous manner," says University of California, Berkeley researcher Pulkit Agrawal. He notes the DeepMind project brings the field one step closer to the goal of creating AI that can teach itself by watching and listening to the world around it. Instead of relying on human-labeled datasets, the new algorithm learns to recognize images and sounds by matching what it sees with what it hears. The results suggest similar algorithms might be able to learn by analyzing huge unlabeled datasets such as YouTube's millions of online videos. The Ohio Supercomputer Center (OSC) played a critical role in helping scientists map the growth of the universe, verifying that the present universe is composed of 4 percent ordinary matter, 26 percent dark matter, and 70 percent dark energy. Ohio State University (OSU) professor Klaus Honscheid says OSC was essential to the timeliness of the research's completion, with his collaborators using an estimated 300,000 core hours on OSC's Ruby Cluster via a condo arrangement between OSC and OSU's Center of Cosmology and Astro-Particle Physics. The researchers leveraged OSC's open source Anaconda environment for large-scale data processing, predictive analytics, and scientific computing. They then used their own software to assess the multi-dimensional parameter space using Markov Chain Monte Carlo methods, and ran validation code, or null tests, for object selection and fitting code to extract information about objects in the images obtained by concurrently fitting the same object in all available exposures of the specific object. 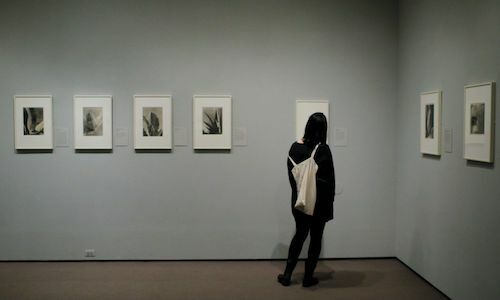 Researchers at New York University (NYU) have developed a new mechanism that uses a machine-learning algorithm to distinguish between genuine and counterfeit versions of the same product. "The underlying principle of our system stems from the idea that microscopic characteristics in a genuine product or a class of products--corresponding to the same larger product line--exhibit inherent similarities that can be used to distinguish these products from their corresponding counterfeit versions," says NYU professor Lakshminarayanan Subramanian. 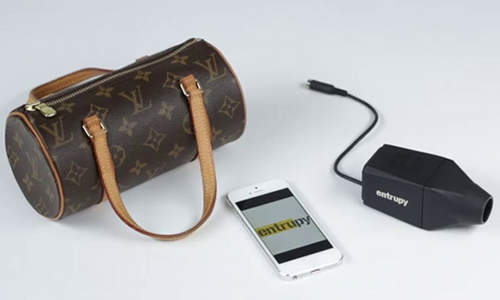 The system can differentiate between real and fake products by analyzing a dataset of 3 million images across various objects and materials, such as fabrics, leather, pills, electronics, toys, and shoes. "The classification accuracy is more than 98 percent, and we show how our system works with a cellphone to verify the authenticity of everyday objects," Subramanian says. The research is to be presented today at the annual ACM Conference on Knowledge Discovery and Data Mining (KDD 2017) in Nova Scotia. Northwestern University's Joshua Glaser and colleagues have developed a new machine learning-based technique for decoding neural signals. The team trained monkeys to move a screen cursor toward a target using a mouse. In each test, the cursor and target were displayed at random locations, and the monkey had to move the cursor horizontally and vertically to reach the goal. The researchers recorded the animals' neural activity in the brain regions controlling movement, and then fed this data to various statistical and machine-learning algorithms. The team says the neural network-based algorithms consistently outperformed the more conventional algorithms that used linear regression. Glaser notes this continued to be the case even though the researchers deliberately reduced the volume of training data fed to the algorithms. "Our networks have on the order of 100,000 parameters, while common networks for image classification can have on the order of 100 million parameters," Glaser says. Researchers at Florida Atlantic University (FAU) conducted a study designed to find a better way to monitor and estimate traffic flow using intelligent traffic surveillance systems. 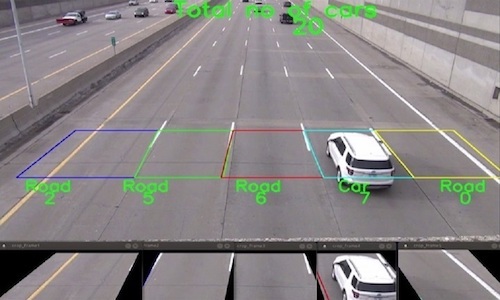 The researchers developed OverFeat Framework, an automated car-counting system using infrastructure and cameras that were already in place. The team says the system significantly outperforms automated car-counting methods currently in use, with an average accuracy rate of more than 96 percent. OverFeat Framework is a combination of convolution neural networks and image classification and recognition techniques. The system is based on two algorithms: the Background Subtraction Method and OverFeat Framework using the Python language for automatic car counting. "The best part of this new system is that you don't need any extra infrastructure because the cameras are already placed at strategic locations on our roads and highways," says FAU professor Aleksandar Stevanovic. 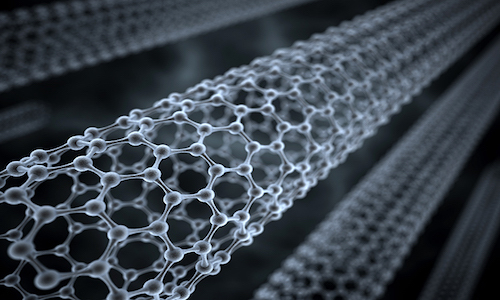 Researchers at Northwestern University say they have built a true random number generator from a static random-access memory (SRAM) cell printed with a specialized carbon nanotube ink. The cell generates random bits by harnessing fluctuations in thermal noise, using a pair of inverters to record 1s with the application of external voltages when the power is cut. Once the SRAM cell is powered again and the external voltages turned off, one inverter randomly switches its digit to be opposite its counterpart again. 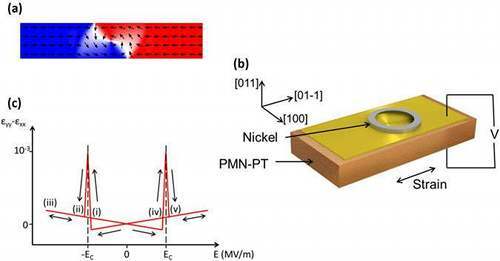 "If we keep resetting the cell and have the thermal noise force it to take a stand, the series of bits that come out will be a random strand of 1s and 0s," says Northwestern professor Mark Hersam. His group has generated 61,411 bits with the device. Hersam says the nanotube generator could be printed directly onto packaging with standard inkjet printers to encrypt data or confirm that products have not been tampered with. A new generation of decentralized applications (DApps) is being created on the open source, cryptography-based Ethereum computing platform, which also functions as a cryptocurrency. Ethereum runs on thousands of computers simultaneously, with blockchain technology keeping the computers in sync. The Ethereum Virtual Machine runs code in public view while users are pseudonymous, with no single individual controlling the system. DApps are small, interconnected scripts that transfer currency and link users, and developers are enthusiastic about them because their decentralized nature shields them from outside meddling. However, their assured anonymity thwarts law enforcement and regulation on Ethereum. Still, DApp programmers envision their apps having benevolent potential, with one example being a voting DApp. This DApp could autonomously tally votes to determine the winner of an election, keeping votes anonymous but fortifying the system against interference because anyone could see the code that counted the votes. Researchers at the University of Vermont and Harvard University say algorithmic analysis of Instagram posts could diagnose depression with more effectiveness than physicians. The researchers used an algorithm to analyze about 44,000 Instagram photos posted by 166 study participants, flagging depression via markers identified in earlier research. Seventy-one of the participants had previously been diagnosed with depression. The researchers concluded that posts by depressed people tended to have more blue, dark, or gray colors than those of healthy people. In addition, although depressed people were more likely to post photos with faces, when healthy people did the same, there tended to be more people depicted in their images. Furthermore, depressed subjects were less likely to use filters in their posts. The algorithm was able to accurately identify which participants had depression 70 percent of the time, while a review of studies about physicians' depression diagnoses calculated a 42-percent accuracy rate. Opinion is divided on quantum computing, with University of Calgary professor Alexander Lvovsky arguing it is an instrument of destruction, not creation. Lvovsky bases his argument on a quantum computer's ability to crack any existing encryption technology--a capability he says could threaten the entire world order. However, Purdue University professor Vladimir Shalaev approaches the issue with more nuance, contending quantum computing has both creative and destructive potential. "I would say any new breakthrough breeds both evil and good things," Shalaev says. Despite this, Harvard University's Mikhail Lukin says the pursuit of quantum computing could be justified for other potential applications besides malevolent ones. For example, Lukin notes quantum sensor technology "has the potential to change the field of medical diagnostics, where some of the tasks which require huge labs can be performed on the scale of an iPhone." Lukin also says quantum computing could advance artificial intelligence to the point where its decryption threat is nullified.